Exciting news! I've partnered with some talented friends to create a portable summer stitch-along. It's the Kingfisher Stitch-Along, co-hosted by Tales of Cloth and Stitched in Color, plus several fab guest posters. Over 8 weeks of stitching, June through July, we'll create the Kingfisher hexie flower quilt. It combines English paper piecing, applique and traditional piecing. 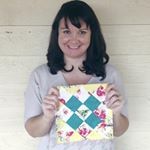 New to English paper piecing (EPP)? Learn all the basics and win prizes along the way! Pick up your needle and stitch along, whatever your pace! This quilt was inspired by Flowers for Eleni, a collaborative project which Jodi of Tales of Cloth organized in 2015. Those hexie flowers were also appliqued, which is a fast way of creating a large work with EPP. My Flowers for Eleni quilt is one of my most treasured possessions, bringing such cheerful energy to our space. Jodi and I have designed Kingfisher as a 59" square throw quilt. 46 hexagon flowers are appliqued by machine or by hand onto diamond backgrounds. Then the diamonds and surrounding borders will be assembled by machine. Lastly the triangles in the border will be added, again as EPP shapes appliqued to the border background. You can download the Kingfisher Color Sheet to plan your quilt! Minimum ¼ yard, if using multiple fabrics. ¼ yard yields 4 full diamonds. There are 46 full diamonds total. Purchase an additional ⅔ yards for partial diamonds only. Stitching with friends is great fun; stitching with prizes is even better! Share your EPP hexie flower progress on Instagram throughout the stitch-along for a chance to win weekly prizes. You don't have to keep up with our schedule to win. Stitch at your happy pace and enjoy! Prizes are provided mainly by Tales of Cloth and Cottoneer. More details coming soon. 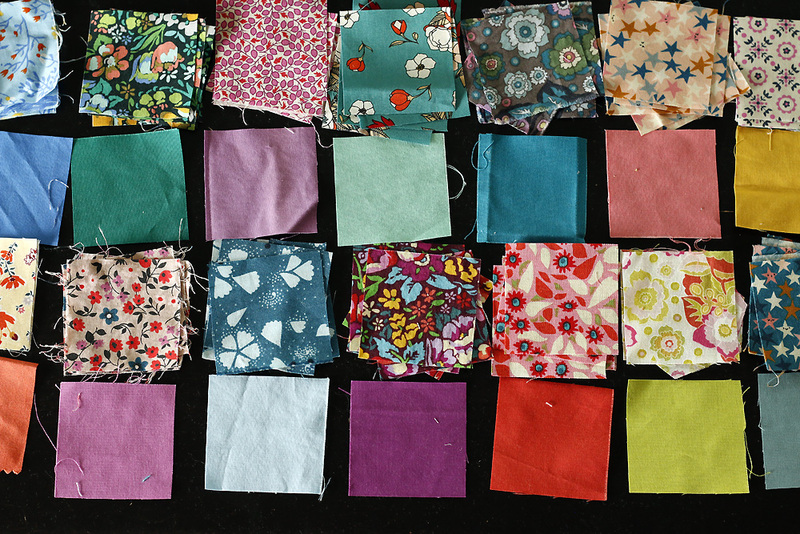 So gather up your supplies and start dreaming of colors and fabrics! If you prefer to buy paper pieces, rather than using the upcoming free printable, you can order the Kingfisher Quilt Kit at Tales of Cloth with a 15% discount, now through June 1st. Just use code KINGFISHER15 during checkout. The discount is good for your entire purchase! Will you be stitching with us? Use hashtag #KingfisherStitchAlong to start sharing the excitement!